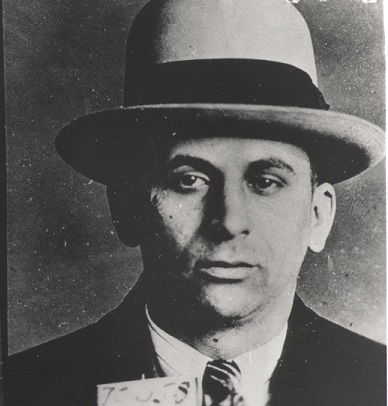 Meyer Lansky was a mobster who today is known for his longevity and intensity. A taciturn man, Meyer Lansky nevertheless put his money where his mouth was in the 1930s, when he challenged the rise of United States-based Nazism and Fascism. To Lansky, a Jewish man, this was personal. Lansky's attempts to send in roughnecks to disrupt and prevent the meetings of the German-American Bund are documented in at least two published works. These stories are familiar to gangster buffs. His commitment to stopping the growth of Nazism in America was transmitted through columnist Walter Winchell and within unpublished interviews with author Paul Sann that Lansky gave later in his life. He is credited with creating at least one riot that prevented the leader of the German American Bund, Fritz Kuhn, and his wife, Elsa, from speaking at a Nazi-Fascist event on New York's Upper East Side in the 1930s. Lanski used his muscle and might to fight the bigotry of the German-American Bund. 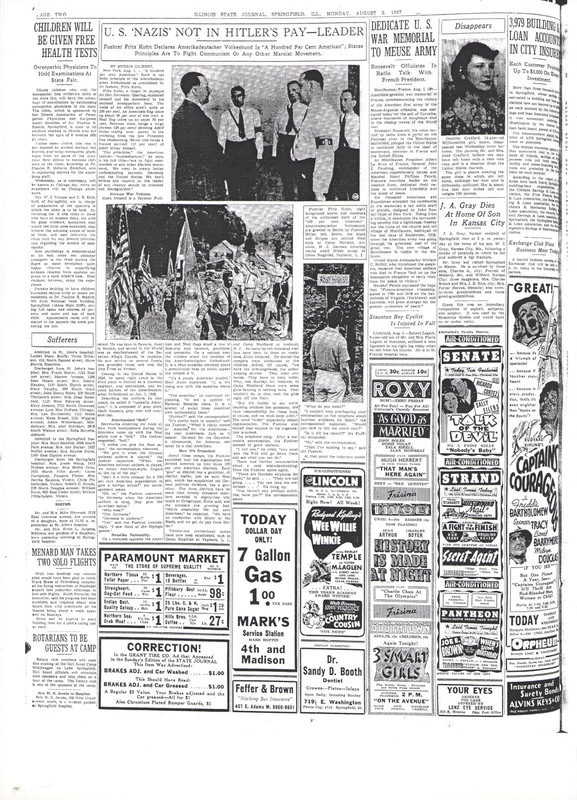 Its members stood to "unite the various forces of intolerance, racial hatred, Nazism and Fascism in the United States," according to a congressional report into Un-American Propaganda activities which was conducted in 1940. The face of the Bund was undoutedly Fritz Kuhn. During his rise to power in the thirties, Kuhn raised $3,000 and presented it to Adolph Hitler in 1936. Kuhn would be defeated via imprisonment by 1939. Yet during his few short years in the spotlight, Kuhn sponsored many extremist Nazi and Fascist groups, and encouraged them to attend his meetings. During the height of his power, Kuhn controlled at least seventy "posts," or units of the Bund. These groups had deceptive names which evoked a religious component -- the "Christian Front," and the "Social Justice Society" to name two. While hiding behind this fraudulent labeling, Kuhn led his factions and would mislabel his organization as "a political group whose primary purpose was to promote the welfare and best interests of the citizens of the United States." By 1939, Lansky's anti-Nazi /Fascist mission -- which never ameliorated his guilt in the eyes of the criminal justice system -- was taken over by the Non-Sectarian Anti-Nazi League, which tried to seek the deportation of Kuhn. Their basis for pursuing deportation was information that Kuhn possessed a criminal record. On November 3, 1939, Kuhn was convicted of grand larceny and forgery in theft of money stolen from the Bund. The United States Government then went about trying to effect the deportation of Kuhn's wife, Elsa Kuhn. 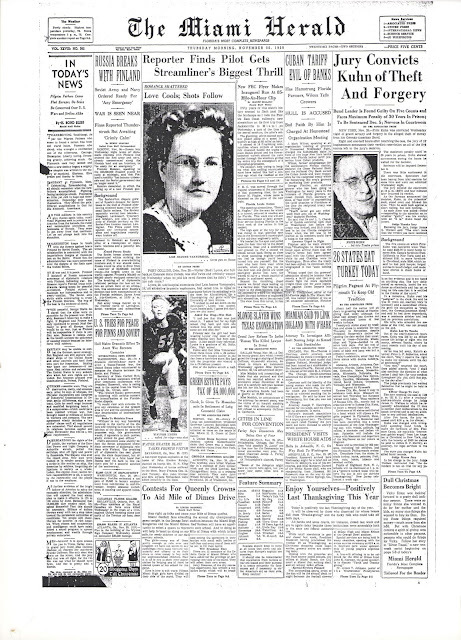 In 1943, it was reported that Kuhn was imprisoned at Dannemora. In the 1940s, Dannemora or Clinton Correctional Facility a/k/a "Siberia", also housed Inmate Charles "Lucky" Luciano and his co-defendant from the Prostitution Bonding Combination Conviction of 1936, David "Little Davie" Petillo (shown at right). 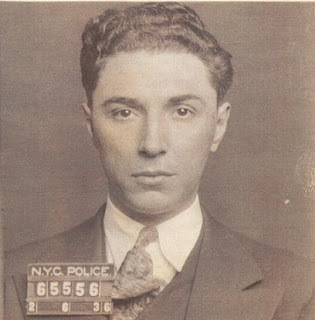 One might assume that Meyer Lansky's friend, Lucky Luciano, with the possible help of Petillo, found ways to get revenge on Kuhn "mob style" once the American Nazi was imprisoned inside the walls of Dannemora. Report of the Un-American Propaganda Activities under the category of Nazi-Fascist organizations, Wednesday, January 3, 1940; H. Rpt. 1476. Serial Set Vol. No. 10440, pp 14-16, 18, 24. The Jewish Chronicle, May 12, 1939. Miami Herald, November 30, 1939. Newark, Tim. Mafia Allies. Zenith Press, 2007. Ellen Poulsen is the author of The Case Against Lucky Luciano: New York's Most Sensational Vice Trial, and "Don't Call Us Molls: Women of the John Dillinger Gang, as well as a forthcoming book tentatively entitled, Chasing Dillinger: Indiana's Matt Leach Collides with the F.B.I.